OSRFramework is an abbreviation of the Open Sources Research Framework. 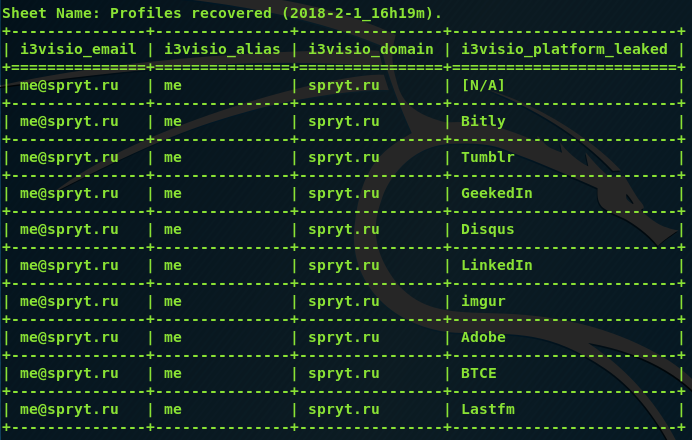 The program has good functionality, especially interesting are not often found functions for checking the existence of an email address and searching for sites where it was used; search by nickname (username) on various sites; search for arbitrary strings in popular social networks. The program is actively developed, at the moment all the functionality is up-to-date, i.e. it is workable. By the way, if you know other interesting and relevant programs aimed at finding information about users on open sources, then write them in the comments. In this OSRFramework manual, the main functions of the program are considered, although the questions of using the API and the web interface are not touched; you should keep in mind this platform provides such possibilities. 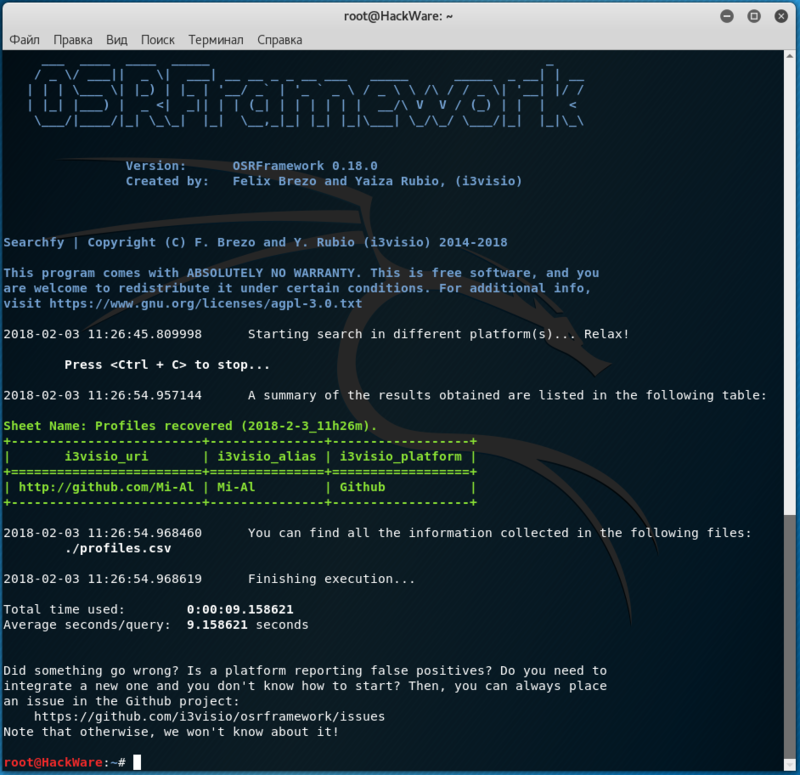 OSRFramework consists of several components, each has its own purpose. 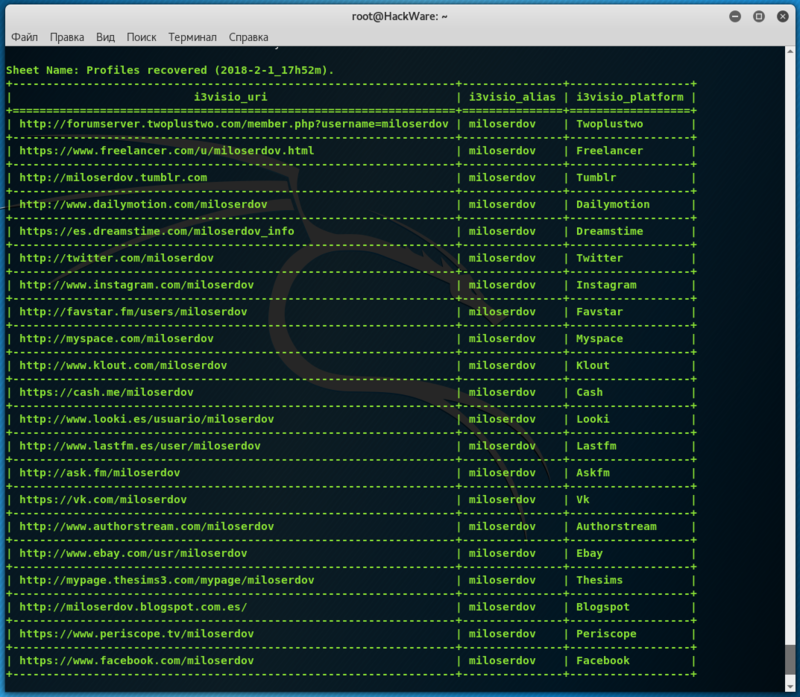 In this guide are considered not all modules, information about other modules, as well as all options, you can find on the page https://en.kali.tools/?p=674. 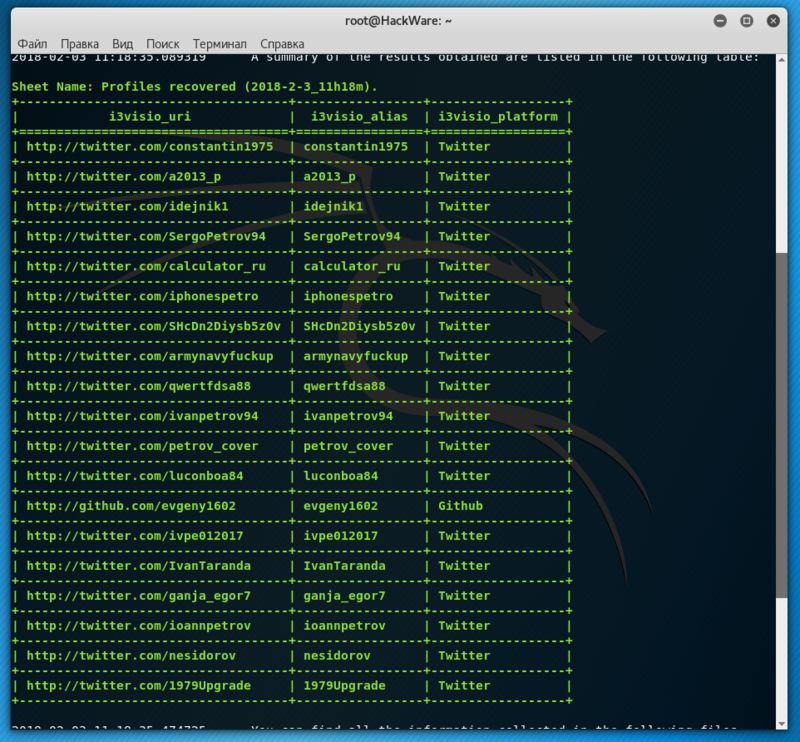 That is, the program checks which sites, which social networks, which web applications use the specified e-mail address. After the existing e-mail addresses have been determined, a check is made for each of these addresses - where it was leaked. 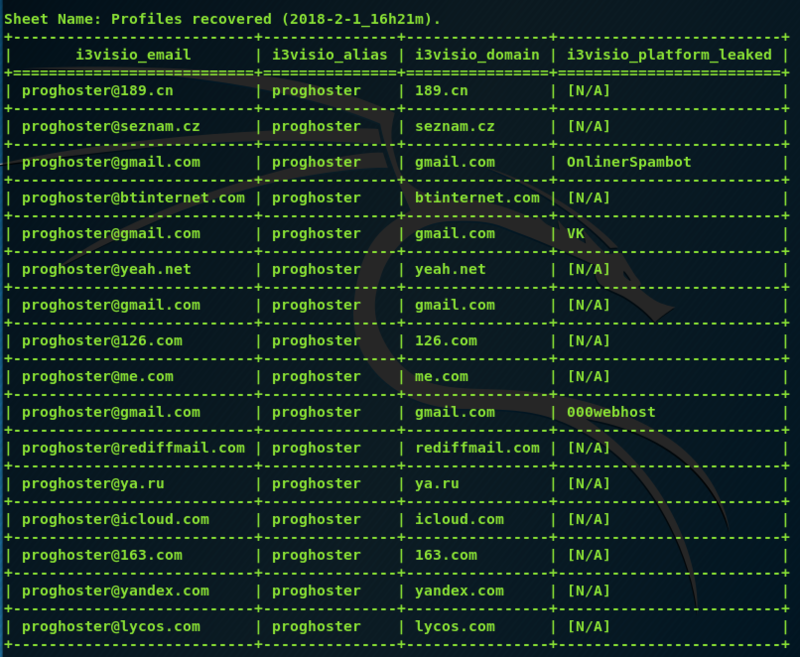 usufy checks if there is a username (profile) on a large number of platforms (about 300). domainfy will check the existence of a given domain for a very large number of top-level domains. The domain name string (without .org, .com, etc.) should be specified after the -n option. After the -t option, you need to specify a group of top-level domains, by which the name will be checked. Available options are 'all', 'none', 'cc', 'brand', 'global', 'generic', 'other', 'geographic'. It can do searchfy. You can specify a user name, nickname, or any other arbitrary string. The string should be specified after the -q option.